Are you looking for a comfortable, cozy and well located apartment in Tiers? 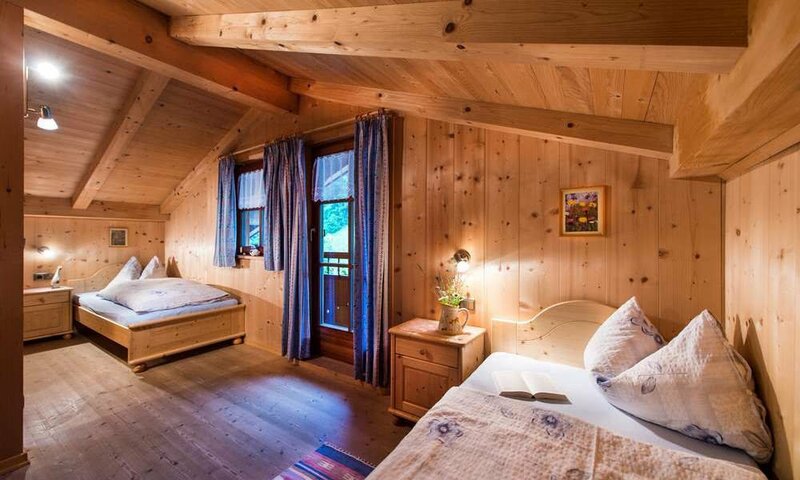 Then stay at our hotel in the Platschgolerhof! During the complete reconstruction of our farmhouse in 2002, we built a second floor in block construction made up with spruce and fir wood of our farmyard. The extension fits very harmoniously with the stone base and emphasizes the natural construction of earlier times thanks to the wood used. Here are two of our holiday apartments. 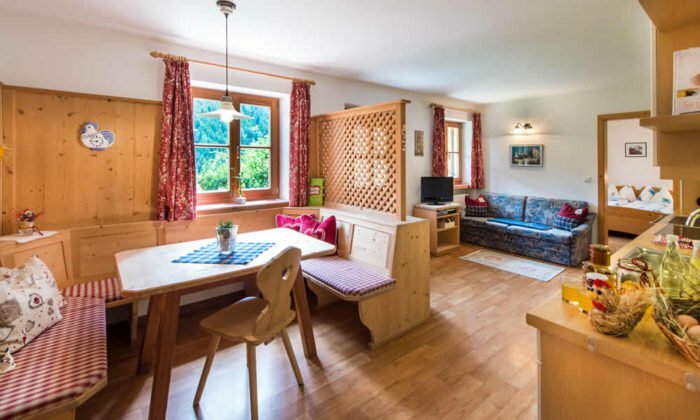 As a real holiday home, the entire building offers you four apartments in Tiers am Rosengarten for up to six people each. 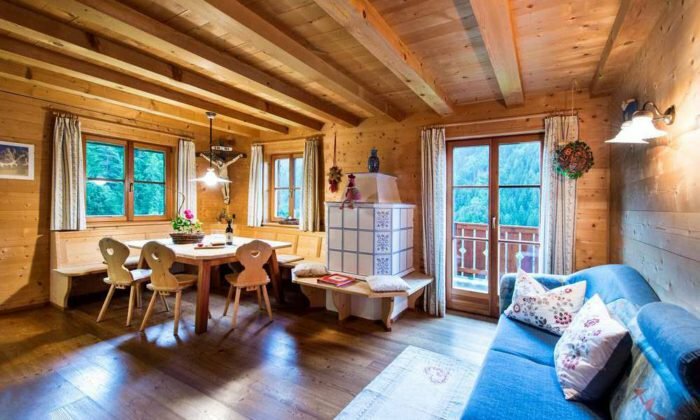 Our apartments in the Dolomites are between 50 and 80 m2. 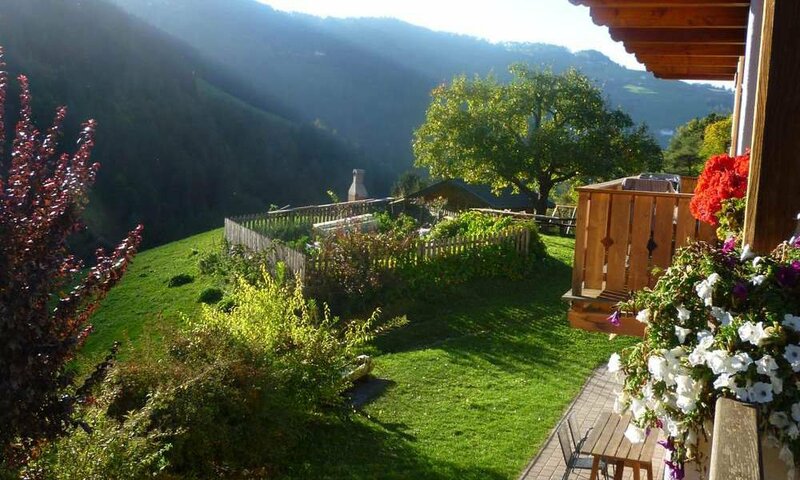 They have balcony or terrace with a beautiful view over the country. The apartments are mostly furnished with natural furniture. In addition, a lot of local wood belongs to the equipment. This includes the entire range of comforts from satellite TV via couch, kitchen line to the dining area. 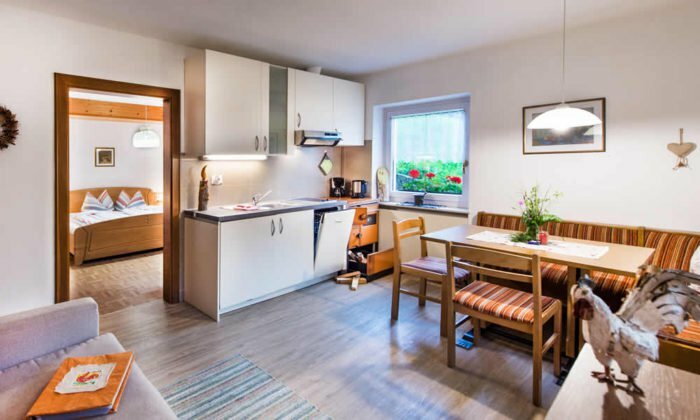 Our large apartment “Fichtenholz” is also equipped with a tiled stove, which develops a quaint warmth during your winter holiday. Enjoy our farm products at breakfast on the balcony and let yourself be fondled by the first morning sunrays!